A funny story based on the well-know French song, "Promenons-Nous dans les Bois". Beautifully illustrated with humorous scenes (including the wolf wearing boxer shorts with pink hearts on! ), this is a lovely story to read with young children. 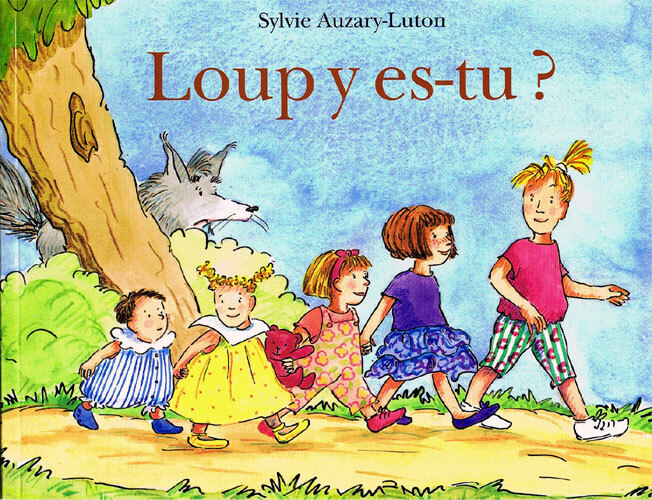 As a bi-lingual Grand mother, teaching French to my toddler granddaughter, I find this book, with its repetitive, humorous text & colourful pictures very engaging. We already knew the song & sing it with a wolf hand puppet. The surprise ending made us both laugh. 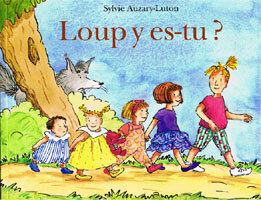 My son loves the loup and gets excited when we read it.